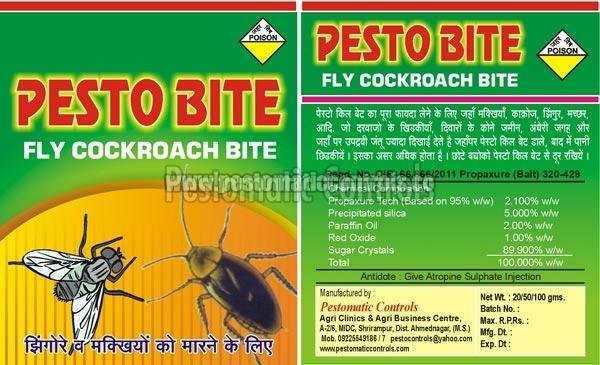 Being one of the Pheromone expert Researchers prominent Outdoor Fly Out Repellent Gel Suppliers in India, we provide highly efficacious House Fly (Musca domestica) Attractants and Repellent Gel at the most discounted price in the industry. Our Fly Out Repellent Gel / Attractant Gel is efficient to call and kill by a killing material to fruit flies and make the area or farm, garden or house free from unhealthy pests flies of any type (say for example Fruit Fly, Melon Fly or House Fly). As we all know that flies are the supreme reason of diseases such as typhoid and cholera, our House- Fly Out Repellent Gel makes the house a healthy place to live. Other Fly Out Repellent Gel and Melon Fly kill make your horticulture garden free of Ducus Dorsalis / Correcta / Zonata / Bactocera Cucurbitae etc.